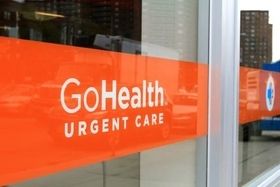 The private-equity backed urgent-care developer GoHealth Urgent Care will enter California in a joint venture with Dignity Health. Atlanta-based GoHealth and Dignity, a health system headquartered in San Francisco, plan to develop a dozen urgent-care centers together in Northern California. GoHealth, backed by global investment firm TPG, has struck similar deals with Portland, Ore.-based Legacy Health and Northwell Health, the system formerly known as North Shore-LIJ Health System, based in Great Neck, N.Y. The joint company in California will be equally owned by GoHealth and Dignity, executives said, and its first urgent-care centers will open this spring in San Francisco, where Dignity owns two hospitals but does not operate any urgent-care locations. The fragmented urgent-care market is drawing significant attention from providers and investors. Select Medical Holdings, Mechanicsburg, Pa., for example, formed a joint venture last year with Welsh, Carson, Anderson & Stowe to acquire occupational and urgent-care provider Concentra from Humana for $1.05 billion. GoHealth has expanded rapidly since it was founded in 2013 with two urgent-care centers in a joint venture with five-hospital Legacy Health. GoHealth and Legacy now operate 11 urgent-care centers in Portland and plan to develop another 10. In New York, GoHealth and Northwell have launched 19 locations in a year and two more are expected to open within a week. The New York joint venture is planning another 20 centers. GoHealth also says it plans to enter another market beyond California this year. Dignity's deal with GoHealth is its latest aimed at expanding its operations beyond its 39 hospitals into clinics, workplaces and other ambulatory locations. Dignity acquired U.S. HealthWorks, an occupational health and urgent-care company, in 2013 for $445 million. The subsidiary operates 220 locations across 20 states but is more focused on occupational health, said Dr. Todd Strumwasser, senior vice president of Bay Area operations for Dignity. Dignity is also an investor in telehealth company Doctor on Demand. The Bay Area is an attractive market for development, with a tech-savvy, younger workforce seeking more convenient access and developers that have not kept pace with demand, Strumwasser said. “We believe that this market is underpenetrated for urgent-care centers." The company targets locations “where people spend their time, where they live their lives,” such as near grocery stories, Latz said. Strumwasser said the new facilities will give Dignity an opportunity to triage patients, treating those with less-severe illness and injuries and sending the ones who really need emergency care to the hospital. “This is more akin to a high-acuity office visit,” he said. The lower-cost facilities will be attractive not only to patients but also to health plans looking to build affordable networks to compete for price-sensitive consumers, he said. Dignity owns hospitals in Arizona and Nevada, and Strumwasser said the system will consider expanding its GoHealth joint venture to other markets based on performance.